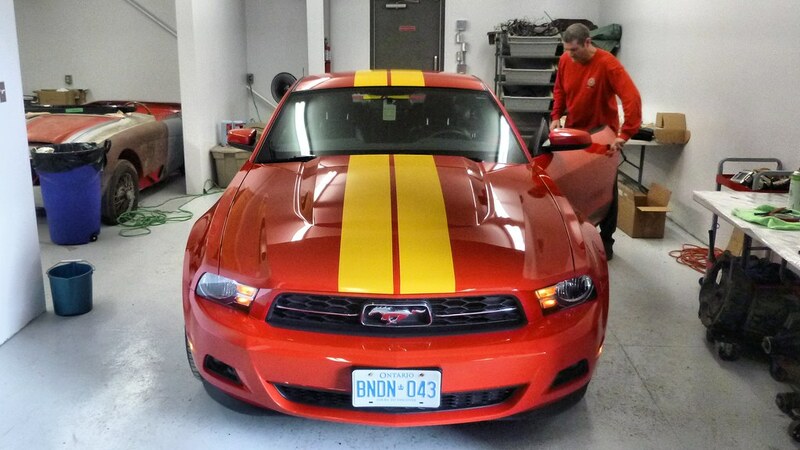 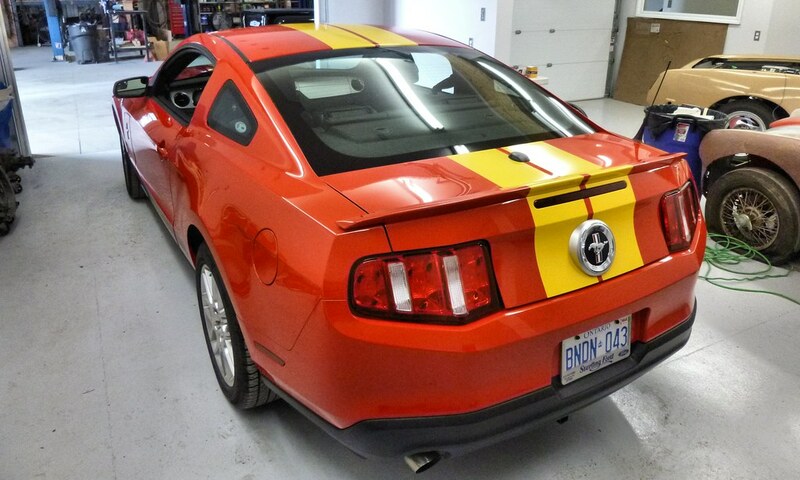 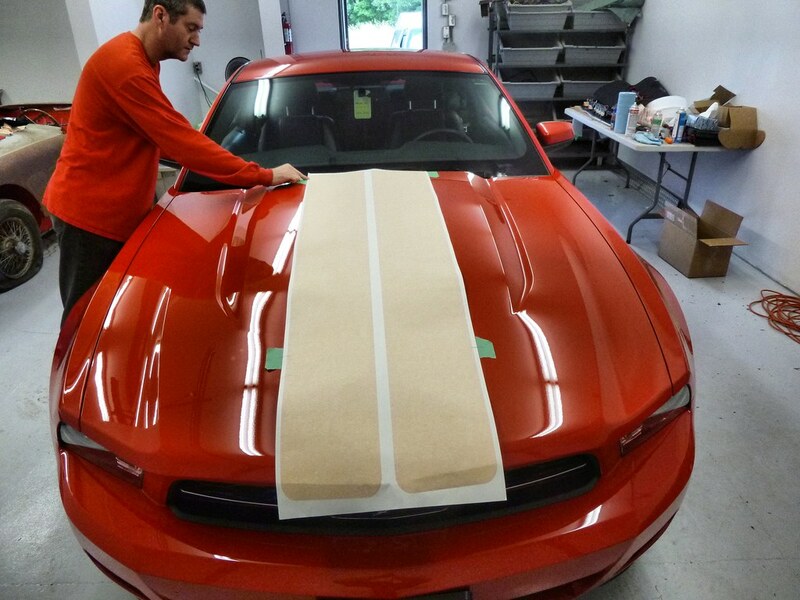 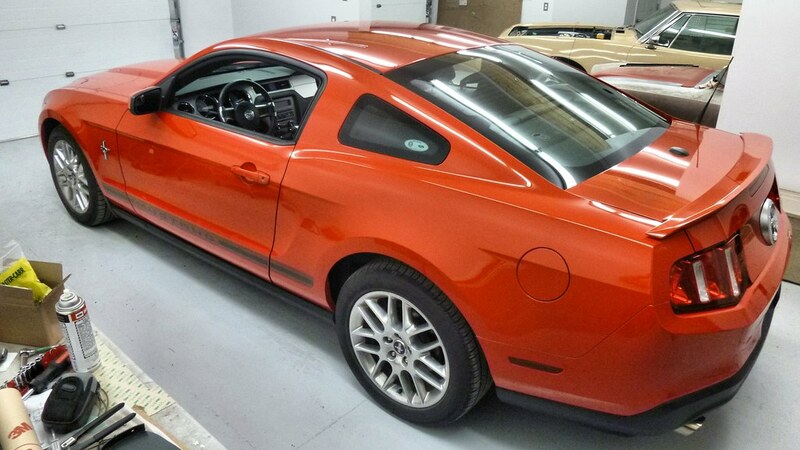 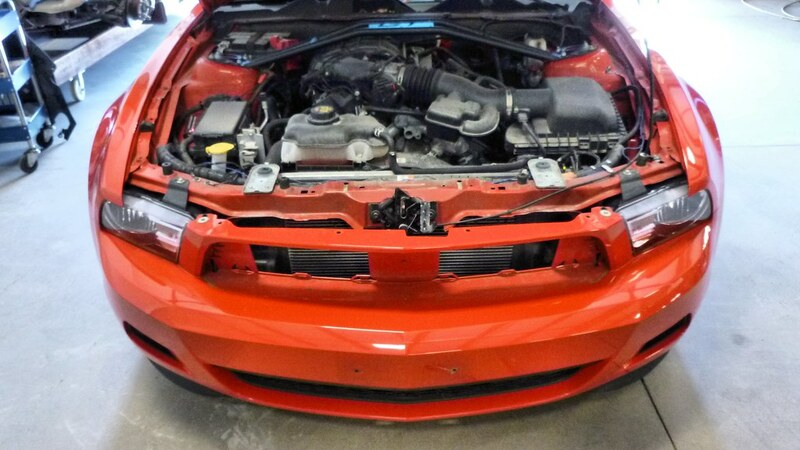 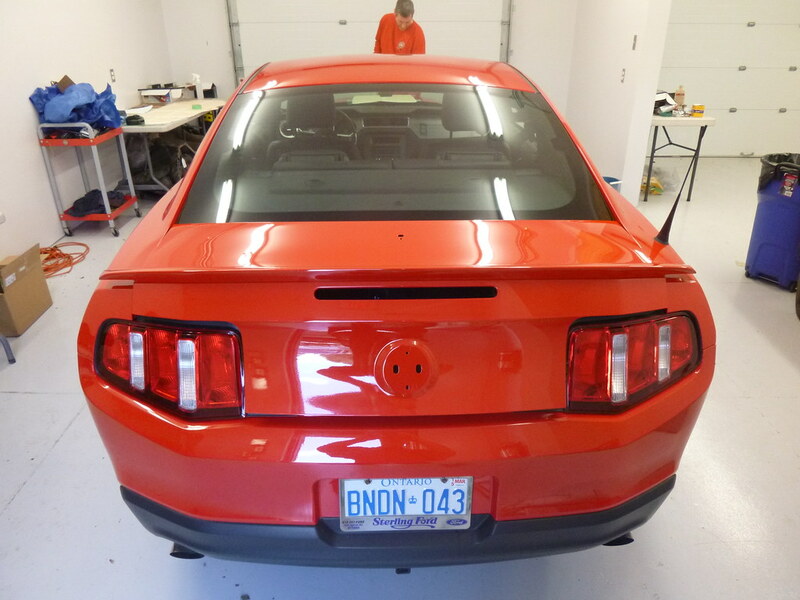 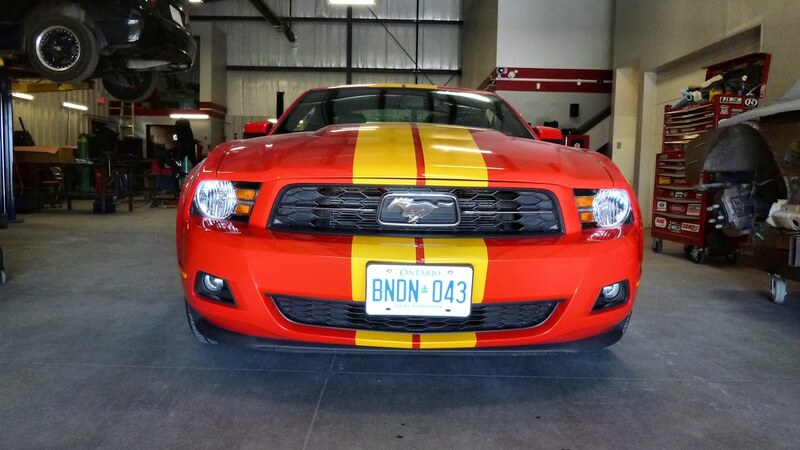 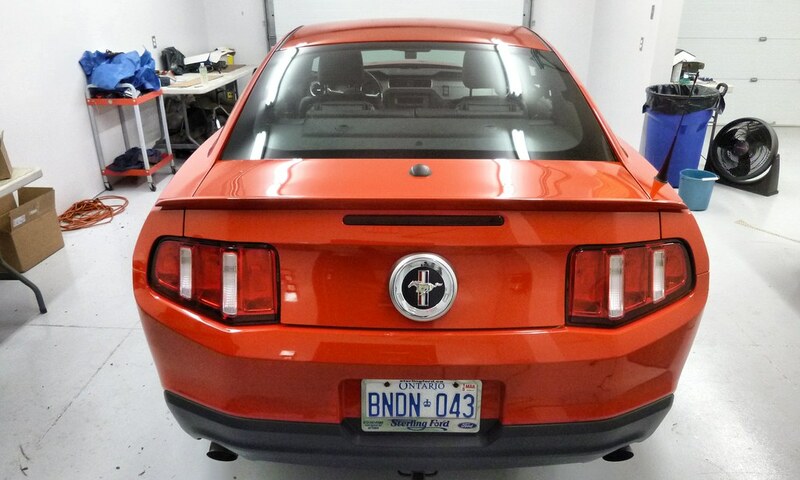 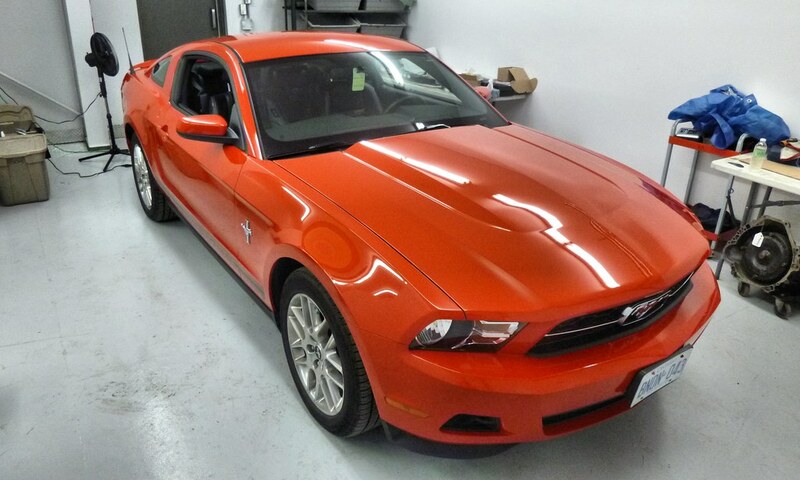 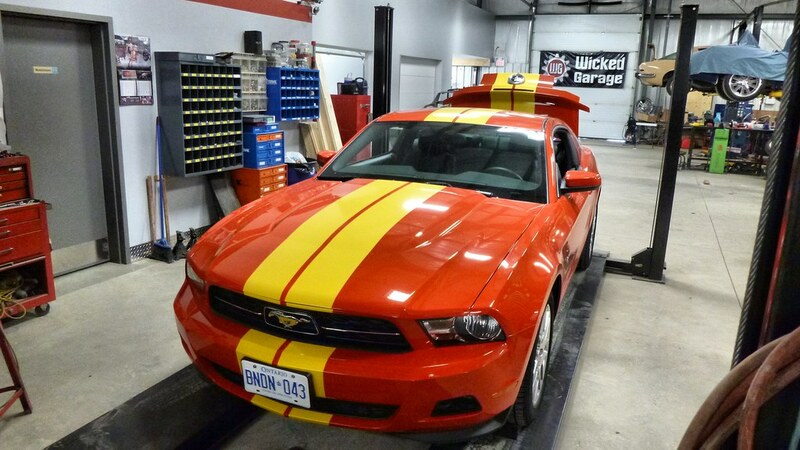 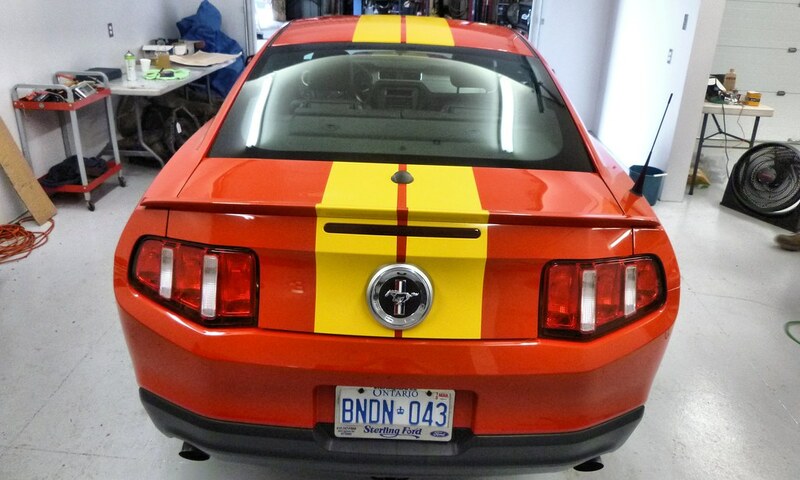 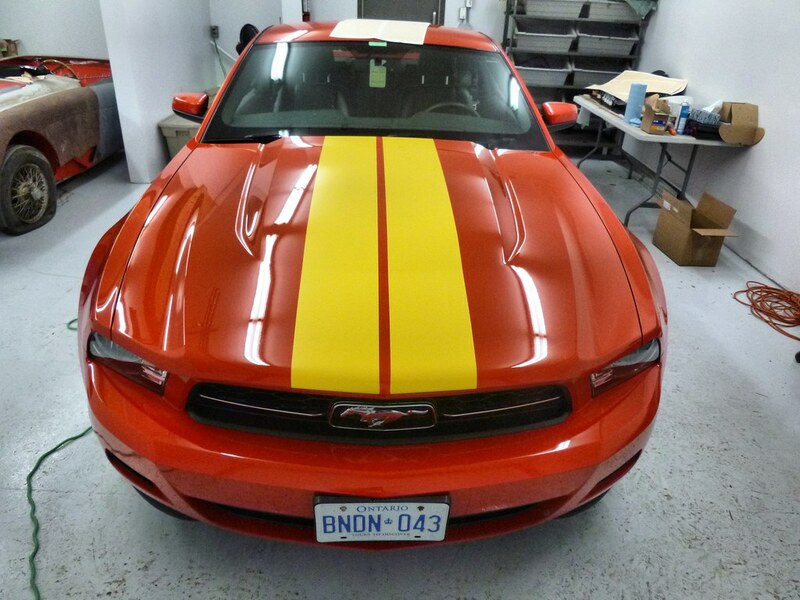 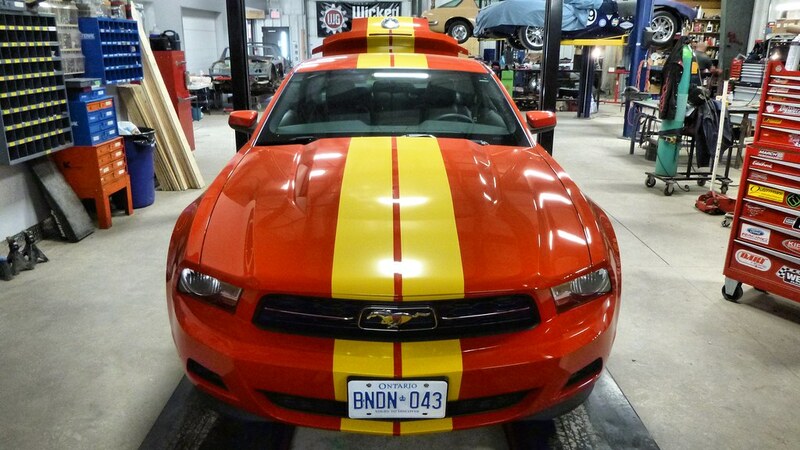 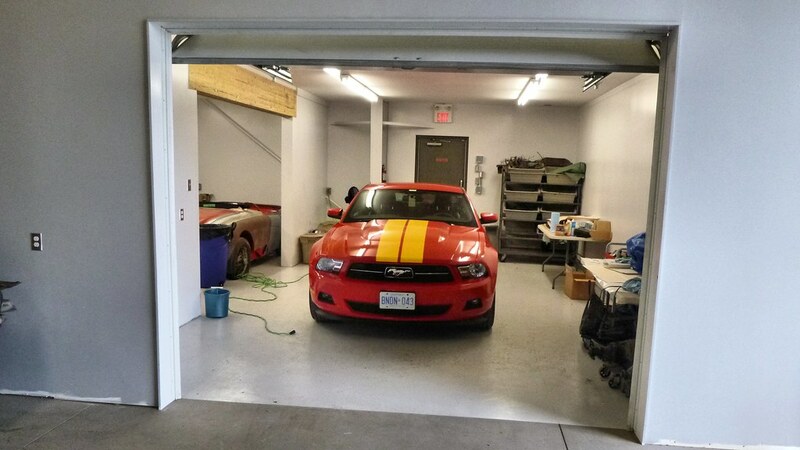 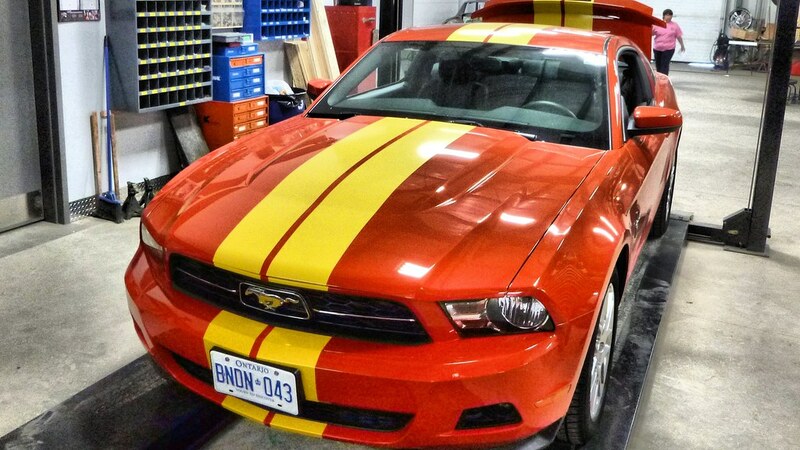 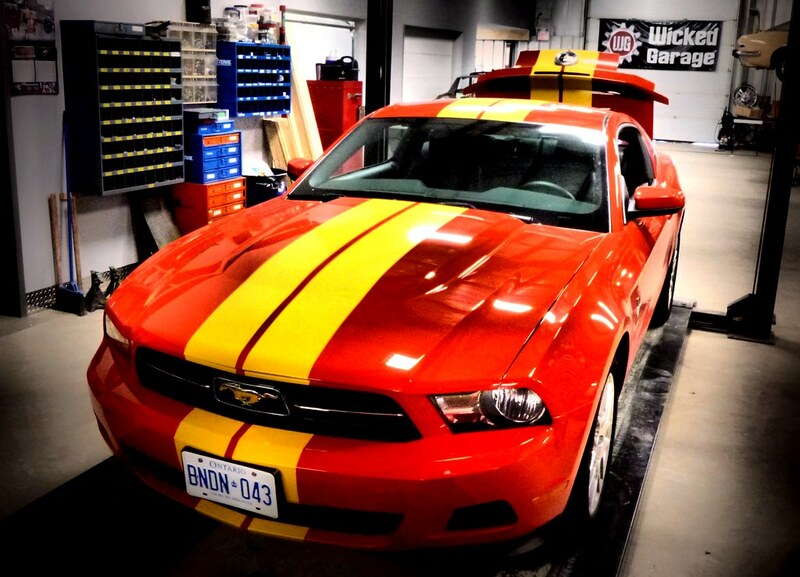 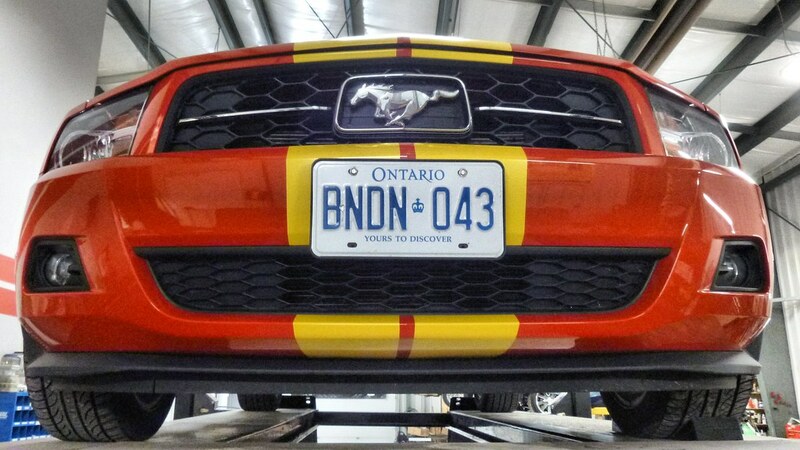 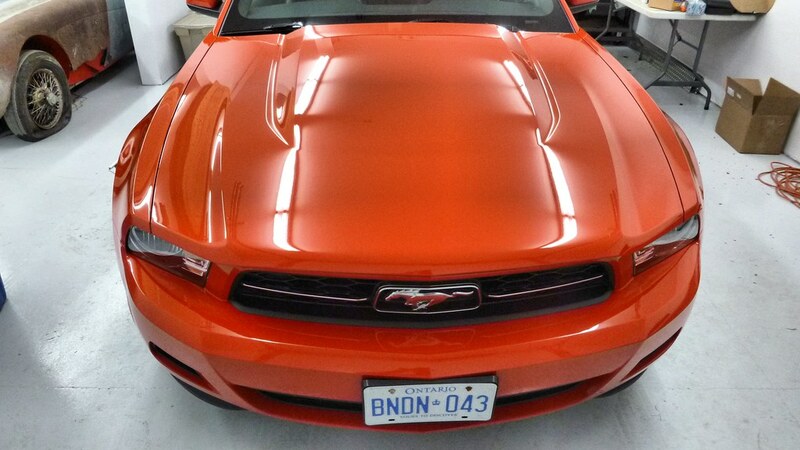 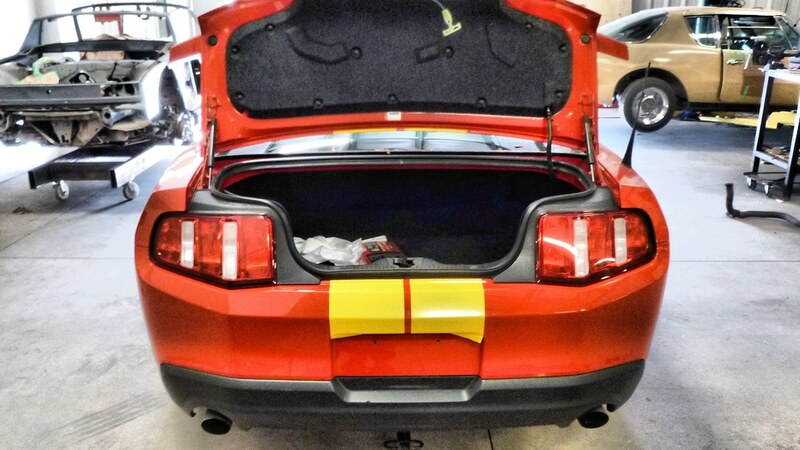 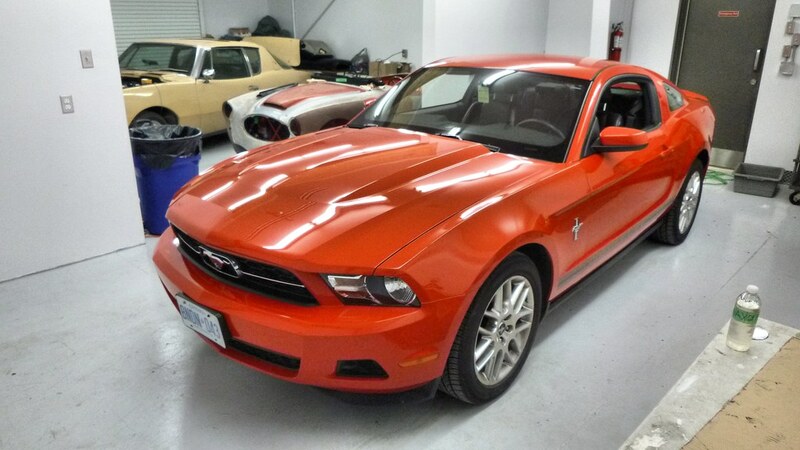 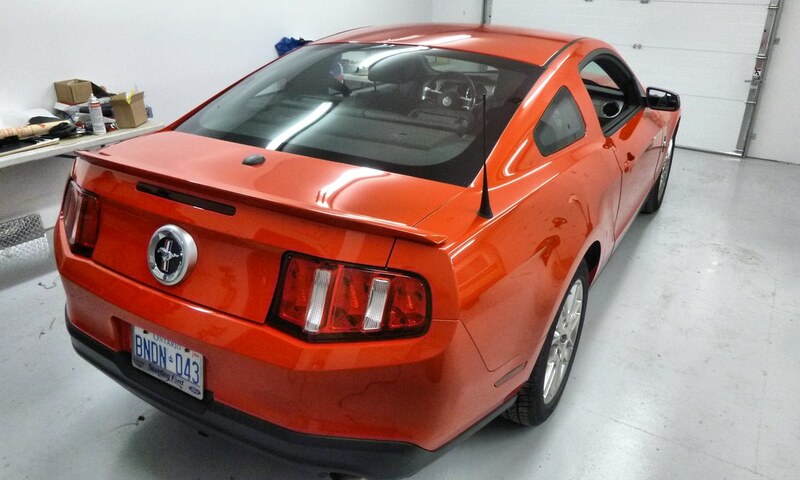 Here’s a nice red 2012 Ford Mustang that came in for some suspension upgrades as well as a pair of Yellow lemans stripes. 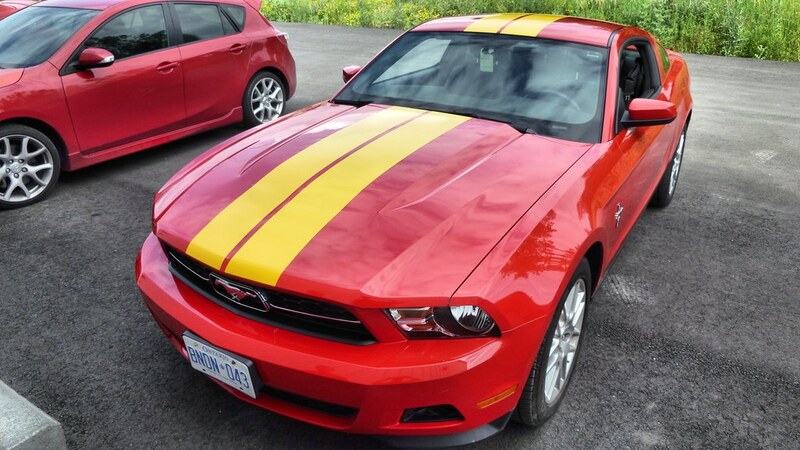 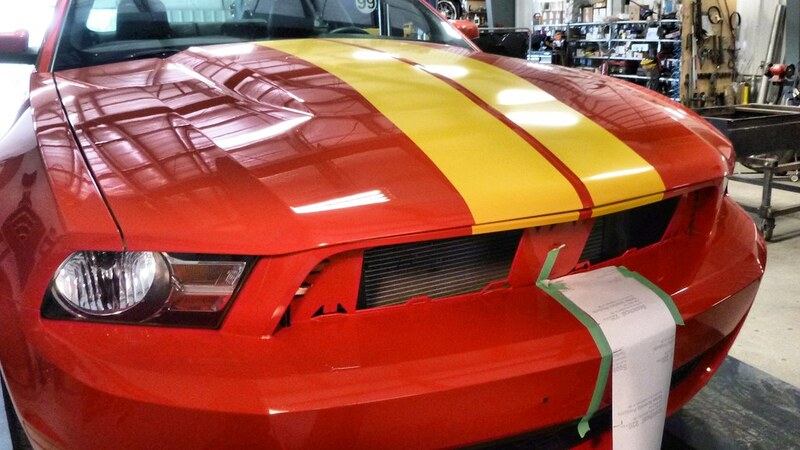 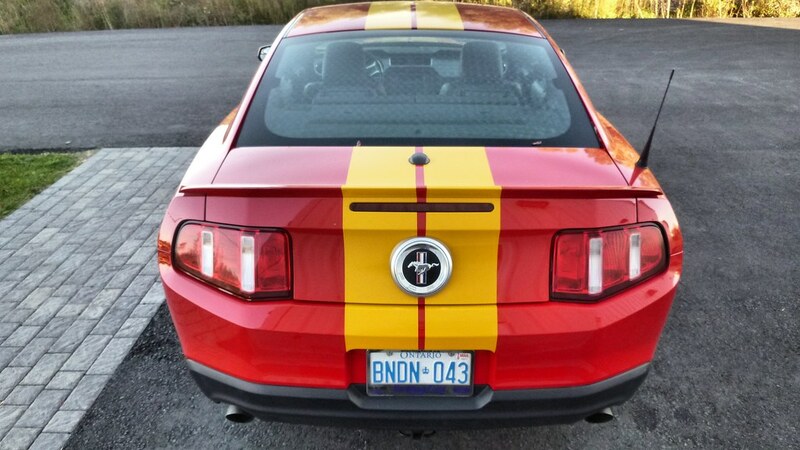 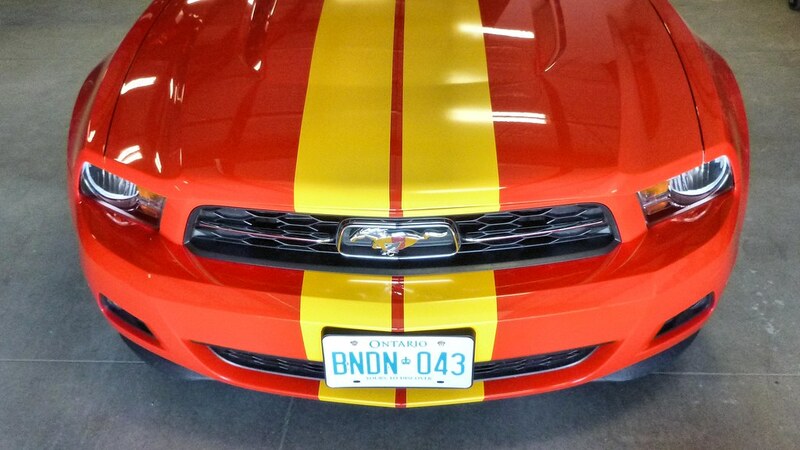 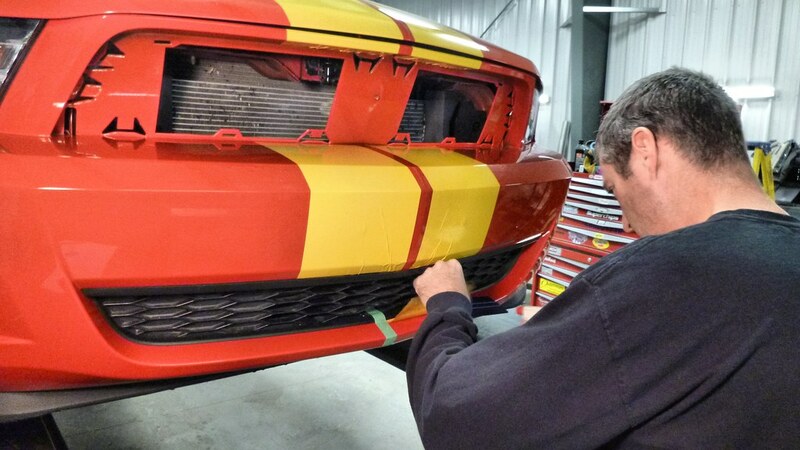 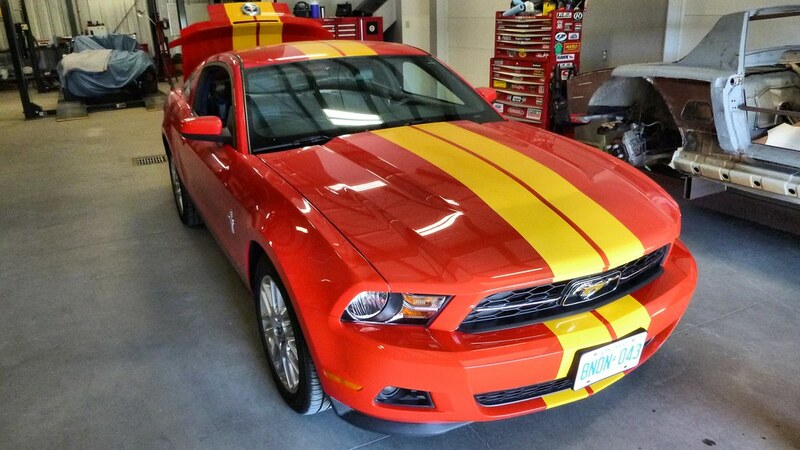 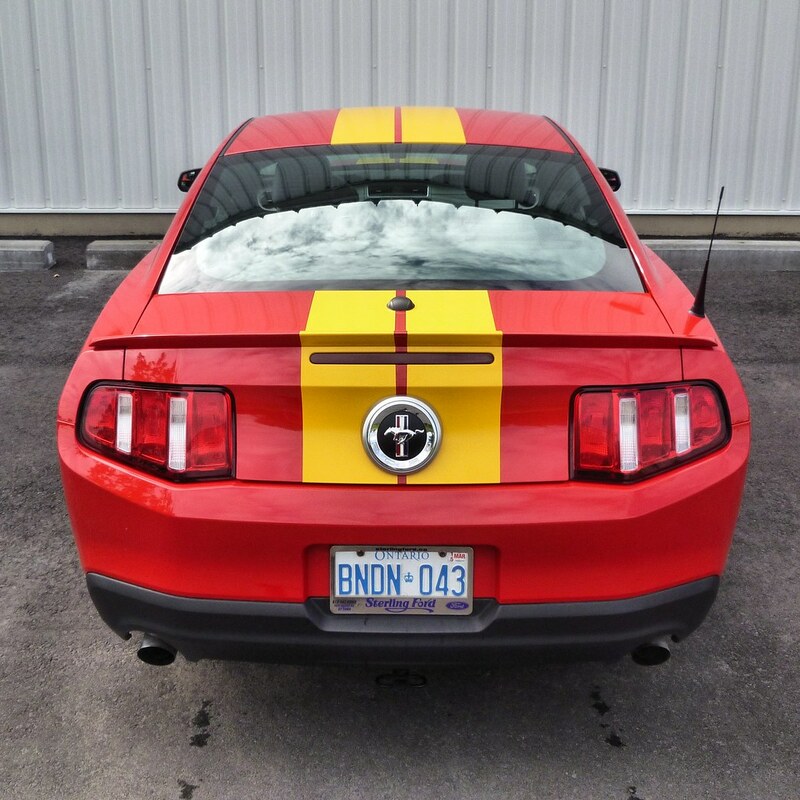 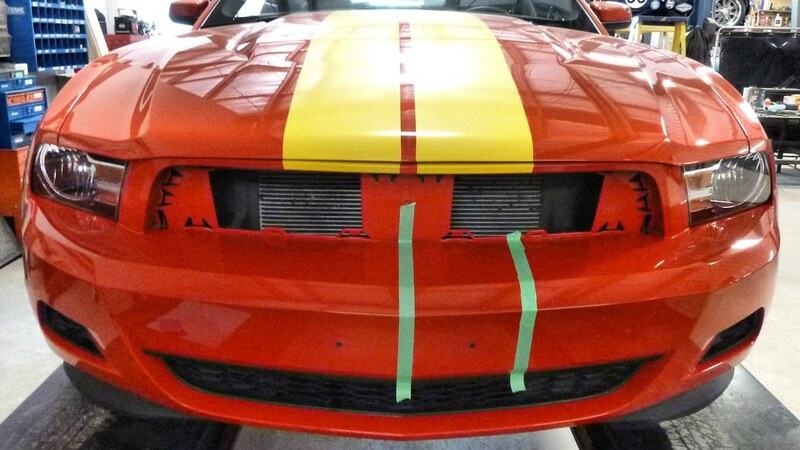 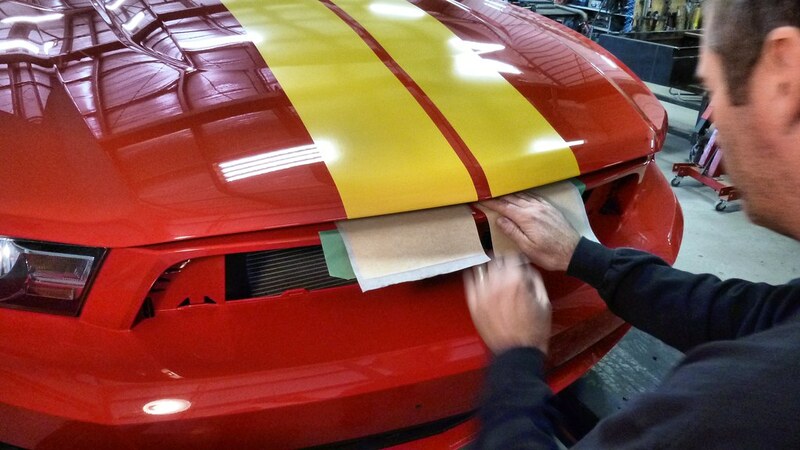 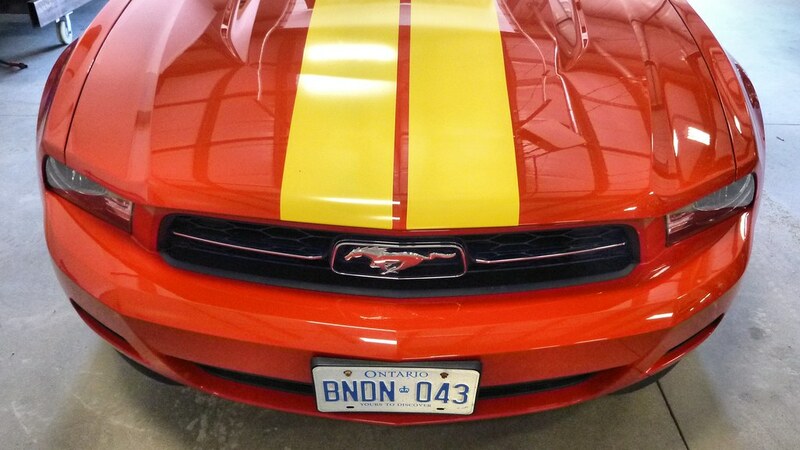 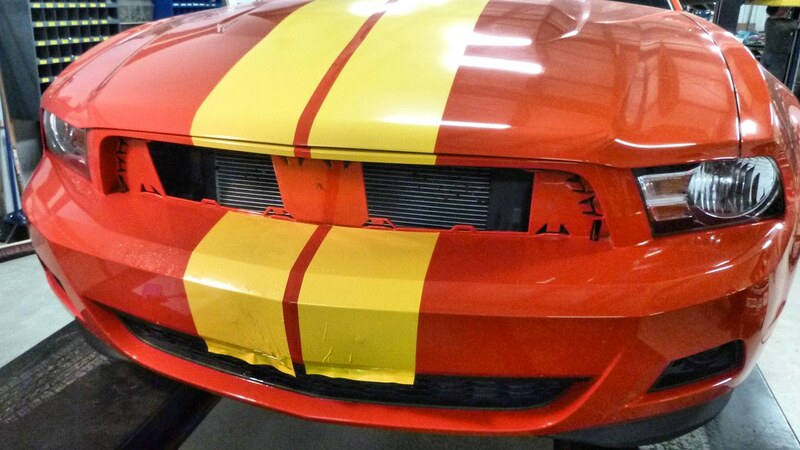 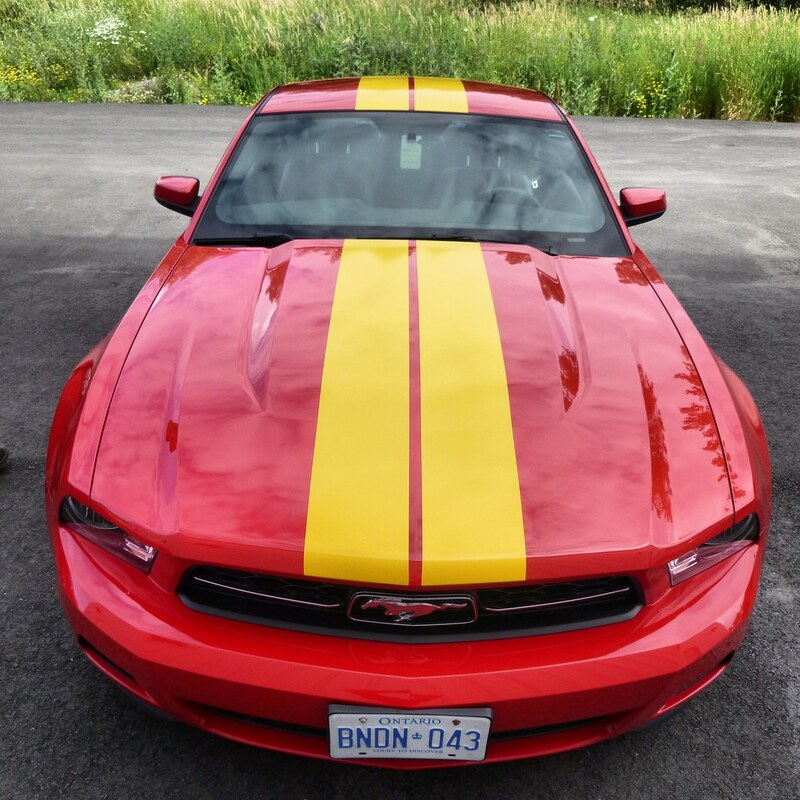 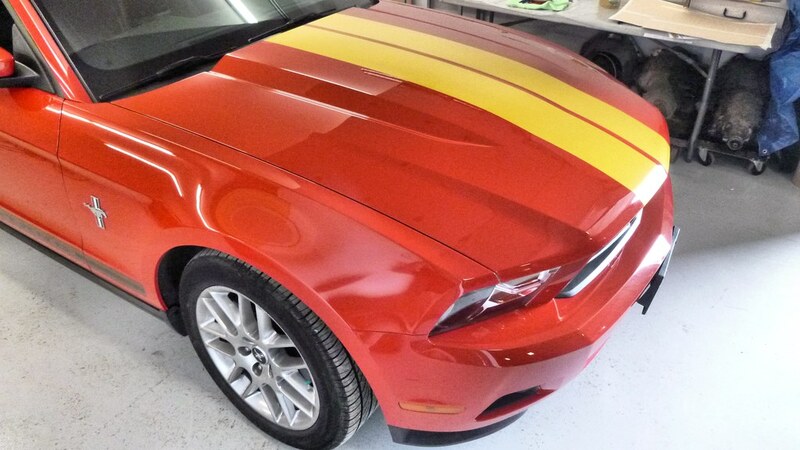 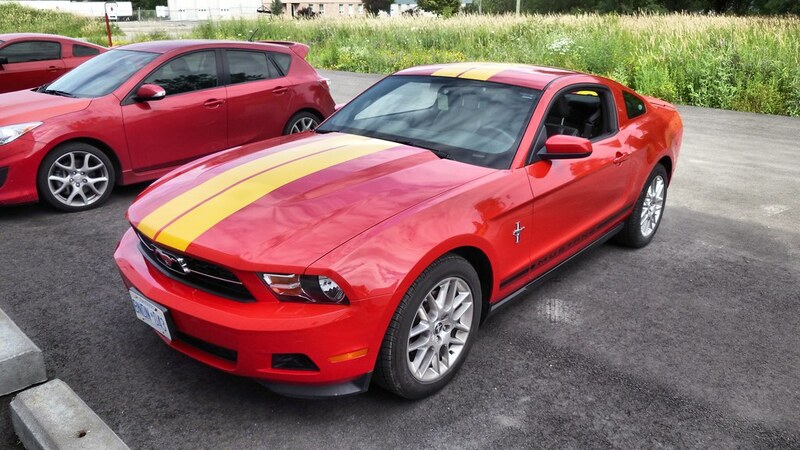 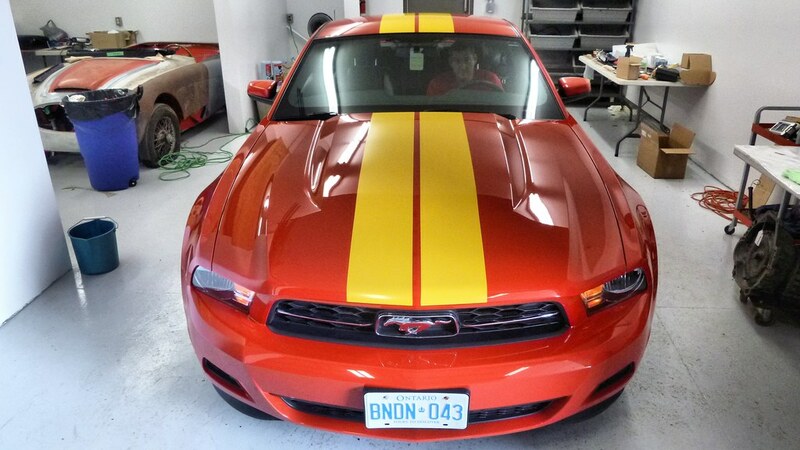 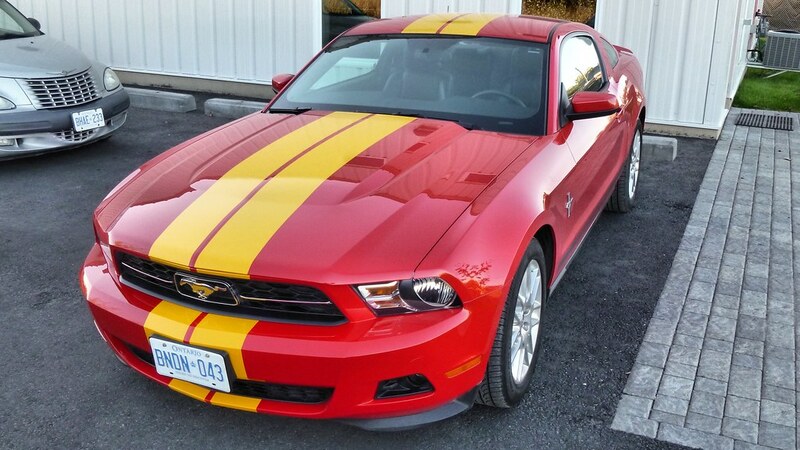 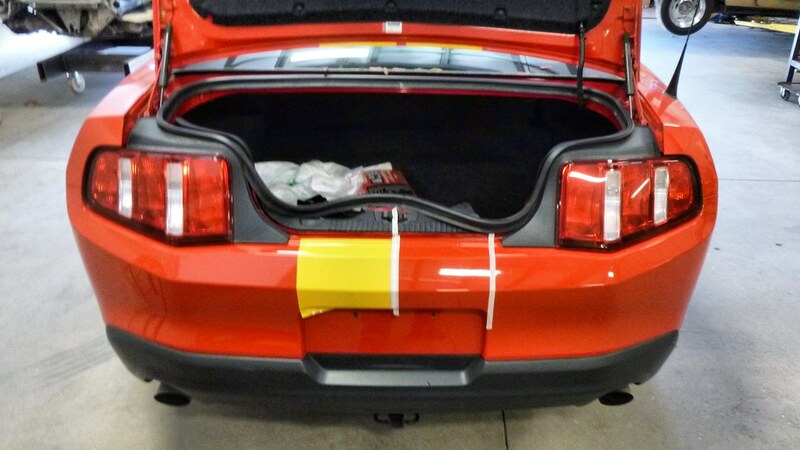 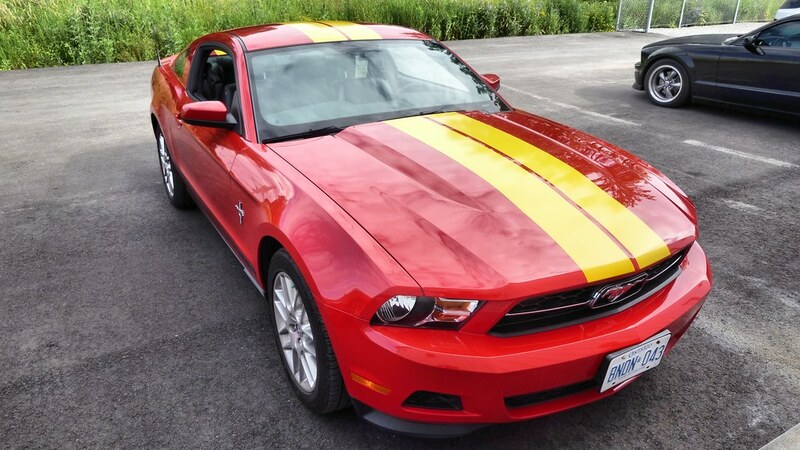 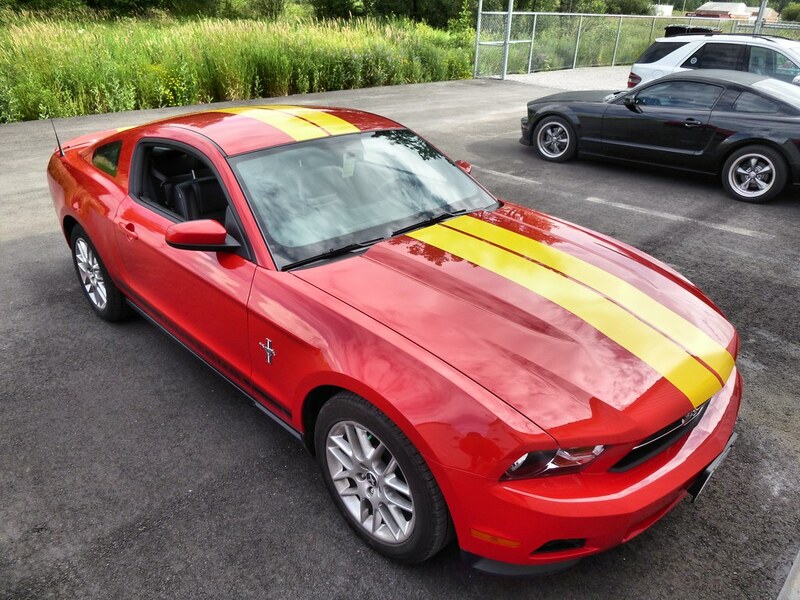 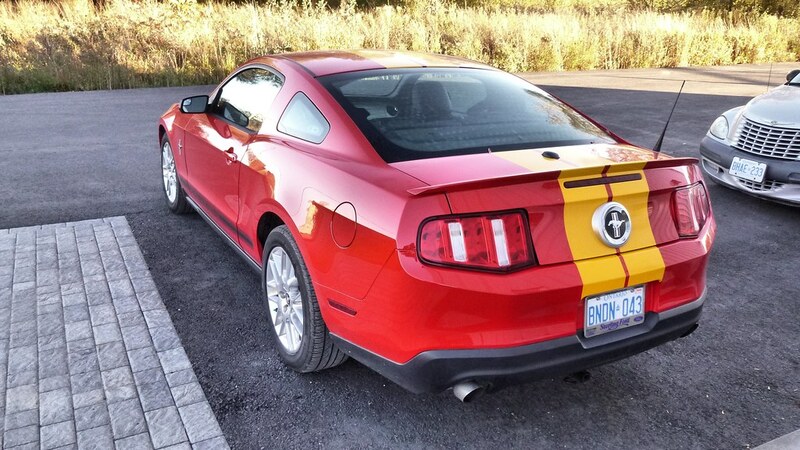 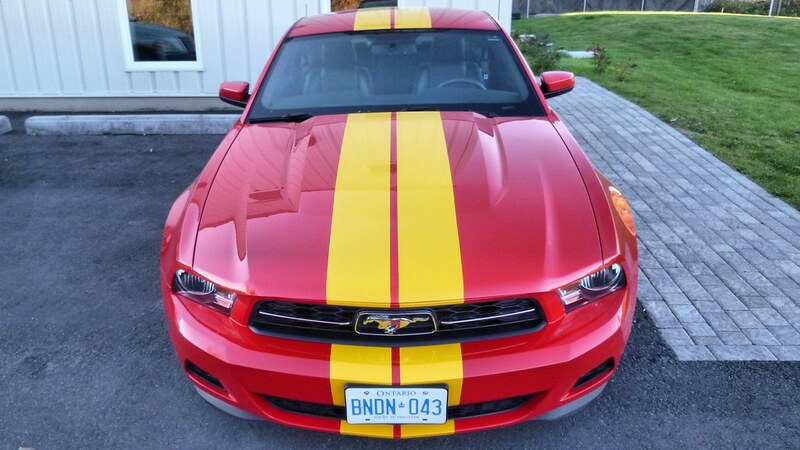 Yep yellow stripes on a red Mustang. 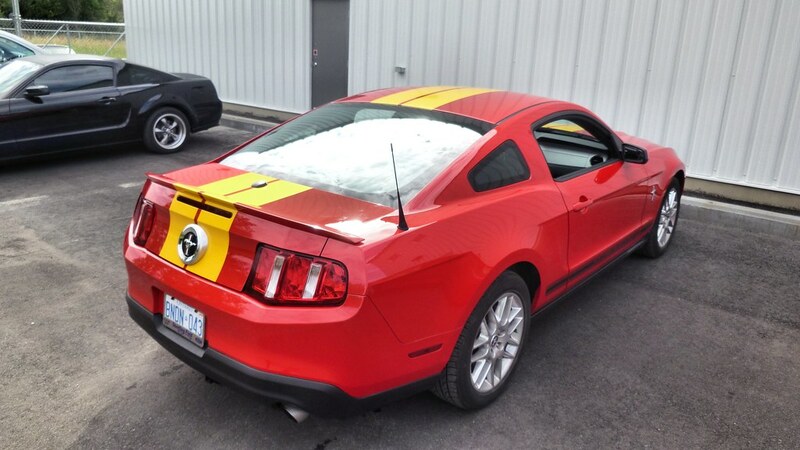 If you need to know the owner wanted the colors to represent a Spanish Flag. 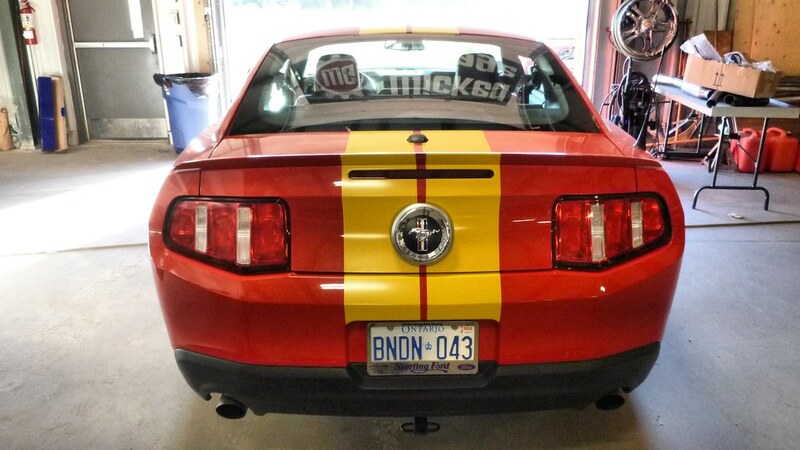 We think it looks unique which makes it Wicked!